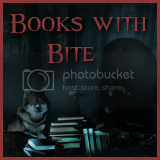 The Eclectic Bookshelf: AWESOME SAUCE Ashes Pre-Order Giveaway! After reading and hearing so MANY AWESOME SAUCE reviews about Ilsa J. Bick's upcoming novel Ashes I absolutely had to pre-order myself a copy. Then going through my google reader I found out about this AWESOME SAUCE pre-order giveaway! 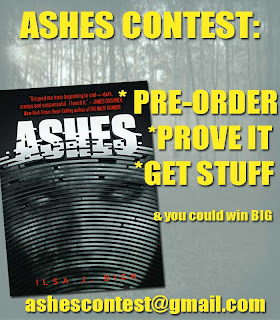 ~ Everyone who forwards proof of their pre-order to the email address listed on the graphic above will win either a limited edition set of Ashes dogtags, a pin or a bookmark. ~ You will also be added to the BIG drawing of AWESOME stuff from Egmont like an Ashes survival kit OR an Ashes skinned tablet/e-reader!